Alcester Grammar School caters for students aged 11-18 and is the first school in South Warwickshire to have achieved academy status. The school colours for Alcester Grammar School are black and burgundy, which contrast brilliantly to create a very pleasing aesthetic. According to Alcester Grammar School’s website, the school’s vision is to offer students and staff the brightest possible future, which is a message that resounds perfectly with its leavers hoodies. 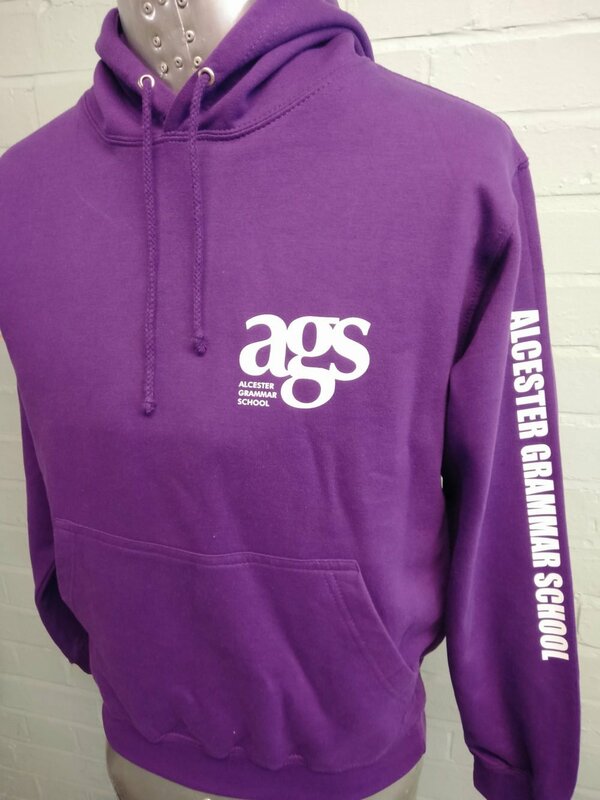 Created in a bright purple material and featuring a crisp white print, the leavers hoodies for Alcester look bright and optimistic. 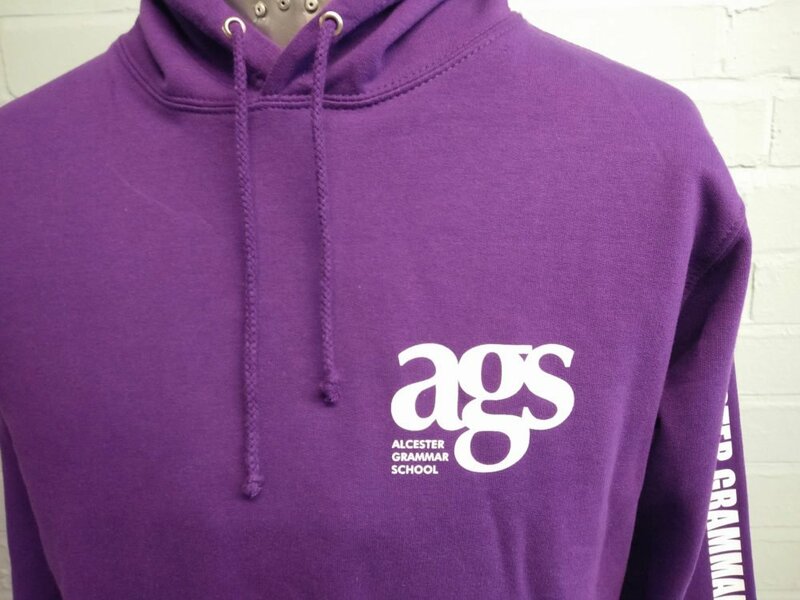 Personalised specifically to what Alcester Grammar School wanted, these purple leavers hoodies have the school’s emblem printed on the front, with the words ‘Alcester Grammar School’ printed in capitals along an arm sleeve. 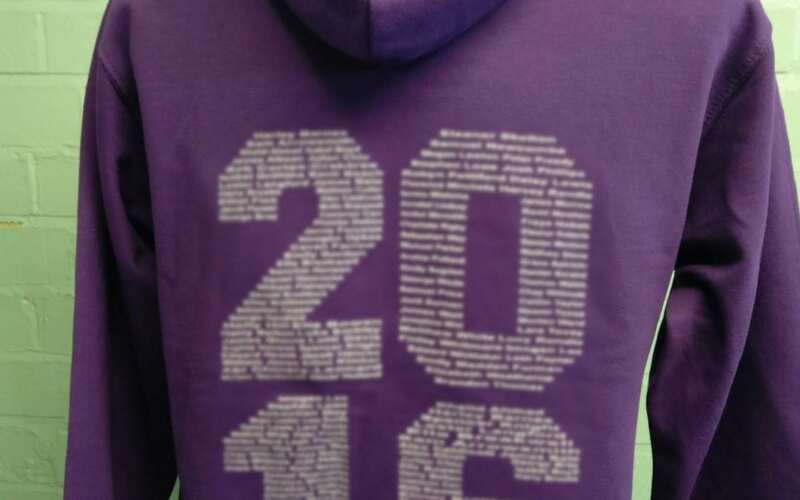 The back of the logos feature the numbers 2, 0, 1 and 6, made up of the names of the students who were leavers in the class of 2016.